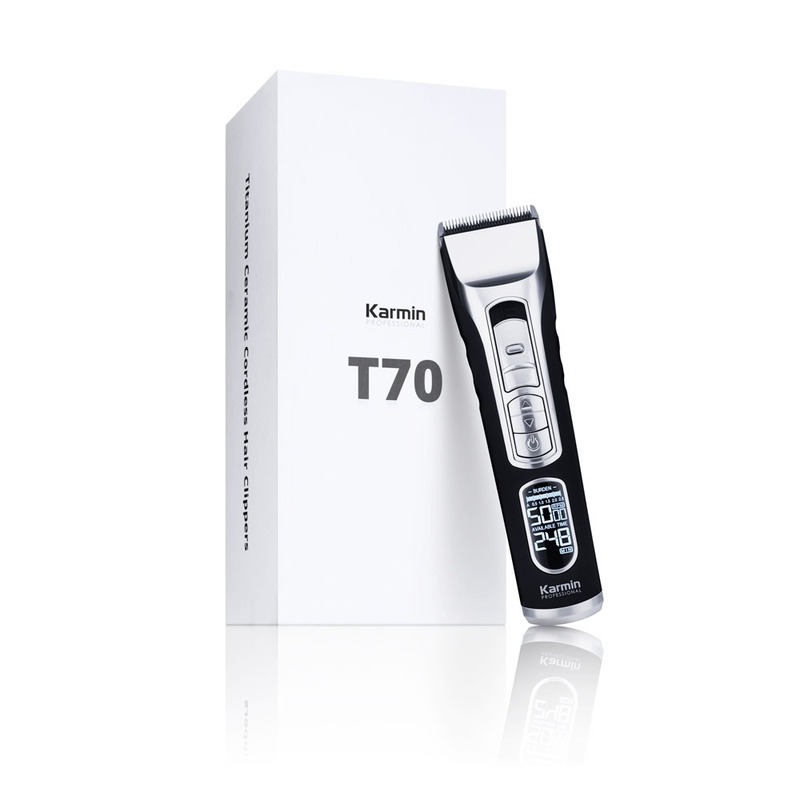 The Karmin T70 Titanium Ceramic Cordless Hair Clippers feature a ceramic moving blade and titanium stationary blade for effortless and precise cutting, even on longer, thicker hair. The stay sharp blades mean every cut is as good as the first. Front mount control allows you to adjust the blade with just one hand to 1.3, 1.6 or 1.9 mm. 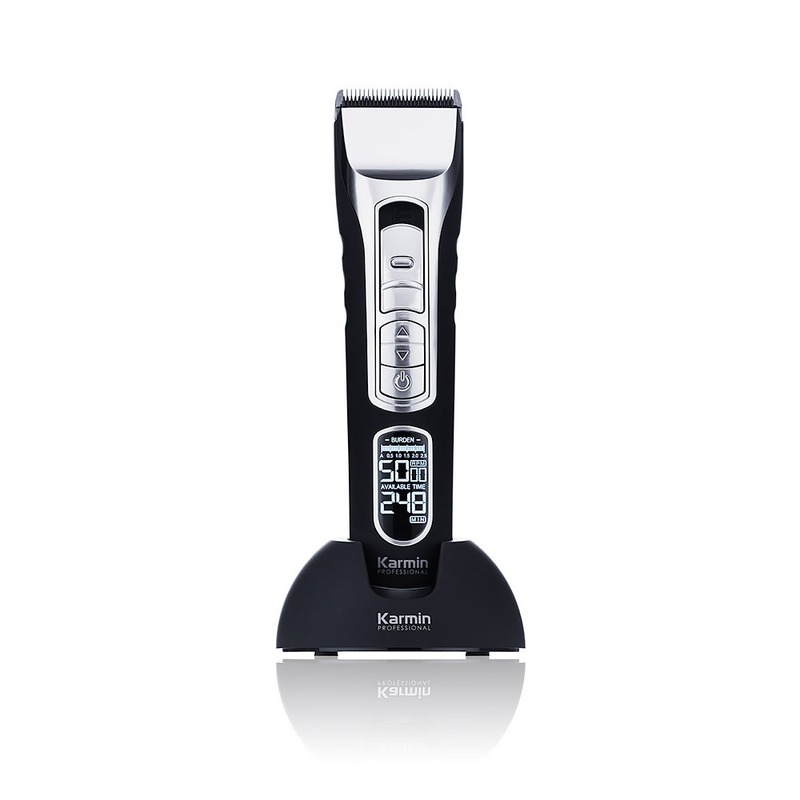 For longer styles, 4 Trimmer guides are included. 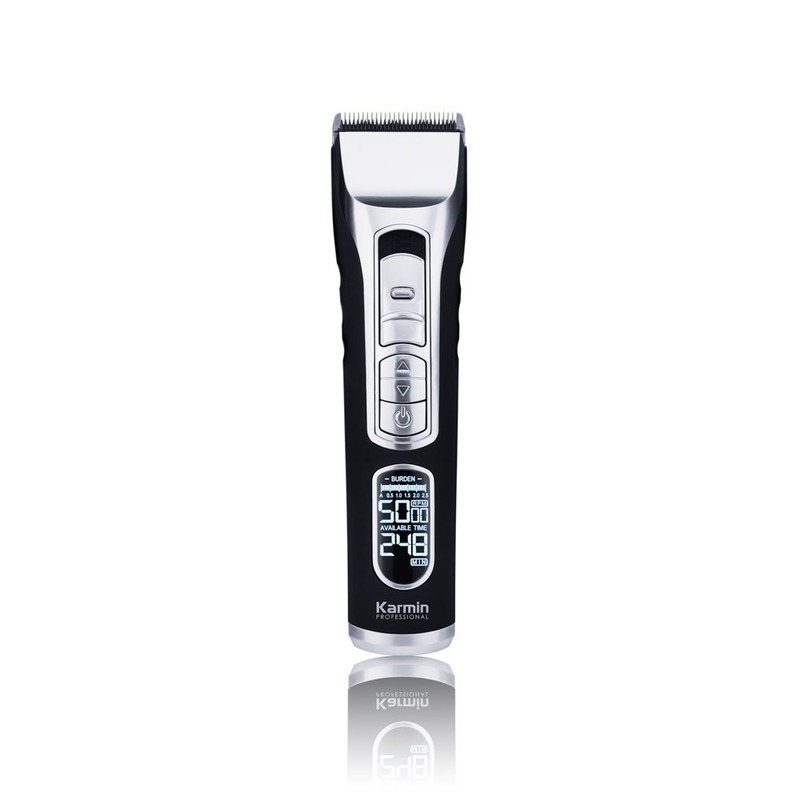 With a powerful yet quiet motor these clippers are designed to last longer while the 2 Piece High capacity NI-MH Battery allows you to cut for 10 hours before the need to recharge (on average they last 1 week for stylists). Ergonomically designed so you can cut in comfort, these clippers provide smooth and relaxed cutting while reducing fatigue in the hand and wrist.